No, I know it’s not Summer yet. And I don’t want it to be Summer either! Because you know how much I love Christmas! But we all know how a cozy Christmas evening with friends and family goes… We EAT! A. Lot. So I thought a little bit of fruit wouldn’t hurt. And it’s delicious! My best friend and I decided that 2015 will become the year we finally make it to the Victoria Secret Angels! That doesn’t matter! The most important thing is that we believe! And I believe we can! I thought it would be better if I already started practicing this year because you know what they say about good intentions on New Year… They never last. What will it change? 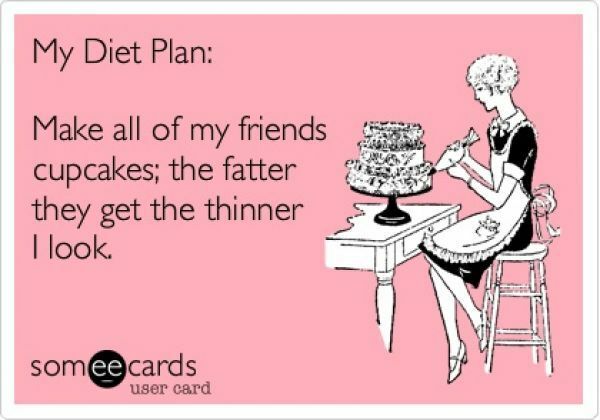 I hope not too much… Besides my figure of course! I will post a little more healthy things (don’t worry, just a little) and maybe a little more caloribombing for you guys! 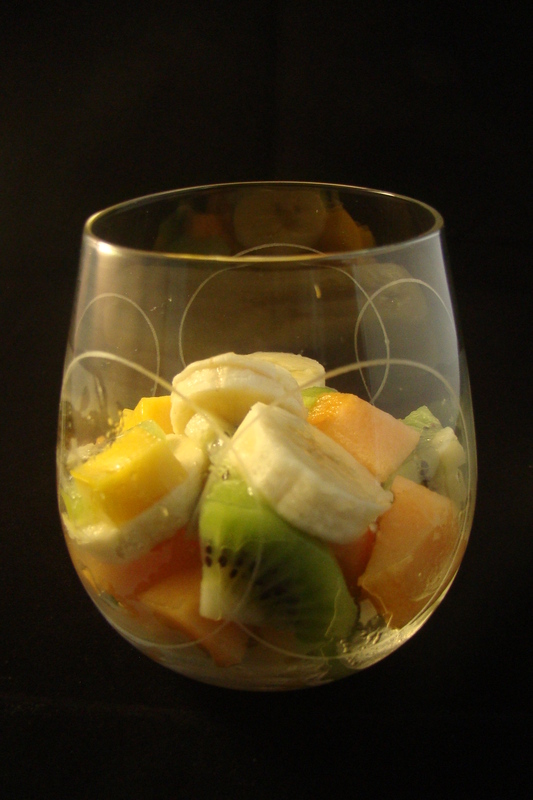 This delicious Tropical Fruit Salad contains almost all my favourite fruits in a fruit salad! Yay! Peel the fruits. Cut them in pieces and put them in nice glasses. I hope you guys enjoy this Tropical Fruit Salad! 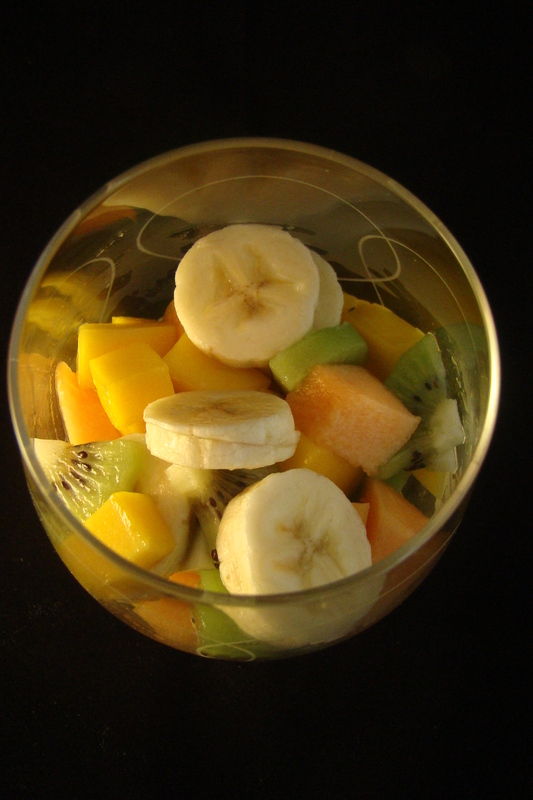 I love fruit salads… I love fruits!! Your salad looks perfect, Sarah. I hope I could eat like this for straight one month. No cupcakes and sweet things. Hahaha! I will start the first day of 2015 with believing. 😉 I miss you, Sarah.